Heskin auctioneers presents to the market a four bed detached home in Clybaun Court, a lovely, quiet, mature housing development in Knocknacarra just off the Clybaun Road. No 15 Clybaun Court is close to all the amenities that the area has to offer. Joyce’s 365 Supermarket is a five minute walk away. There are primary and secondary schools in the immediate area, crèche facilities, and church. The Clybaun Hotel and Tom Sheridan’s Bar & Restaurant are close by on the Clybaun Road. There is easy access to the bus transport link to the city centre which services the general Knocknacarra area. 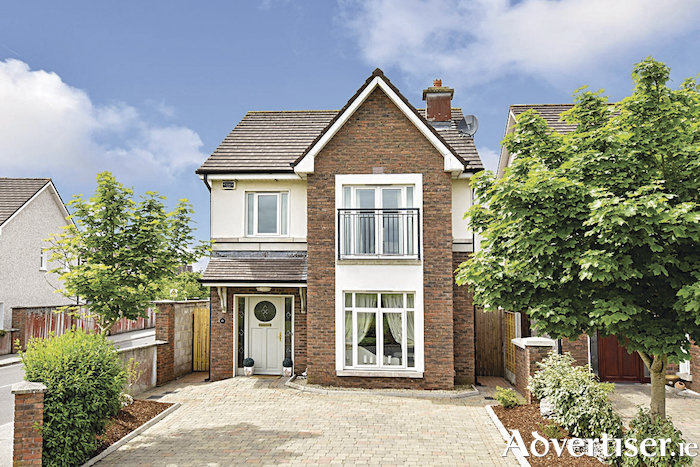 The city centre is just 4km away, while Salthill and all its amenities are within 2.5km. Built in 2004, No 15 Clybaun Court is a spacious four bedroom detached property facing onto a green area and is presented in excellent decorative order. This property would make a superb family home in a great location. Viewing is highly recommended. Guide price is €425,000. The BER is C3. To arrange a viewing or for further information call Heskin auctioneers on 091 56 58 57 or contact Shane Heskin directly on 087 2538 739.